Guatemala is a country gathering its wits after thirty-odd years of insane civil war. Budget-challenged travellers have been drawn to the country throughout this period of turmoil because it offers Central America in concentrate form: its volcanoes are the highest and most active, its Mayan ruins the most impressive, its earthquakes the most devastating and its history of repression decidedly world-class. Guatemala is the Mayan heartland of Central America, though the government has both touted and tortured the Maya - sticking pictures of them on its tourist brochures while sticking guns in their faces. Despite this, indigenous Guatemalan culture is alive and well, in the ancient ruins of Tikal, the Mayan/Catholic rituals of Chichicastenango and the blazing colors of everyday Mayan dress. Since the peace treaties were signed, inspiring even the least-intrepid travellers to venture beyond the Guatemala City-Antigua corridor, indigenous Guatemala has been rolling out the red carpet to once-isolated and lovely villages accessible to some of Central America's wildest natural wonders. A relatively high level of violent crimes are committed against foreigners in Guatemala, so travelers should always be alert to potentially dangerous situations. Incidents of bus- and car-jackings are quite common, and Guatemala's larger cities can be dangerous after dark. Intercity travel after sunset should be avoided. Kidnappings, rapes and assaults do occur during daylight hours and in some cases affect entire groups of travelers. There has been a recent rise in vigilante justice, especially in the countryside, and outsiders who have attempted to interfere with such phenomena (public lynchings and the like) have been dealt with harshly by instigators. Guatemala City is the largest urban agglomeration in Central America - it's far from a pretty site. It sprawls across a range of flattened, ravine-scored mountains, covering an entire mountain plain and tumbling into the surrounding valleys. With its rickety chicken buses and chaotic marketplaces, the city's Latin character is over the top to the point of cliché. Like all Guatemalan towns, a strict grid system has been imposed on the city's layout: avenidas run north-south; calles run east-west. The huge city has been divided into 15 zones, each with its own version of this grid system. Few colonial buildings grace the city, and it is visited more for its role as the nation's administrative and transport hub than as a must-see tourist site. In Zona 1, Plaza Mayor is a classic example of the standard Spanish colonial town-planning scheme, and is the city's ceremonial center, with the retail district nearby. It's best visited on a Sunday, when it's thronged with thousands of locals who come to stroll, eat ice cream, smooch on a bench, listen to boom-box salsa music and ignore the hundreds of trinket vendors. The square is lined by the imposing Palacio Nacional, currently being restored to house a national history museum, and the twin-towered Catedral Metropolitana. An earthquake destroyed the original market building adjacent to the square in 1976, and today the hugely chaotic Mercado Central specializes in tourist-oriented crafts. North of Zona 1 is the shady and restful Parque Minerva, featuring a quirky relief map of the country. Several important museums can be found in Zona 10, including the Museo Popol Vuh, which is a superb private collection of Mayan and Spanish colonial art, and the Museo Ixchel, which displays the rich traditional arts and costumes of Guatemala's highland towns. Zona 13 houses the Museo Nacional de Arqueología y Etnología, with its prized collection of Mayan artifacts, and the Museo Nacional de Arte Moderno, which has a superb collection of 20th-century Guatemalan art. Several km west of the center lie the extensive ruins of Kaminaljuyú, an important Late Pre-classic/Early Classic Maya site. Unfortunately, the ruins have been largely covered by urban expansion. 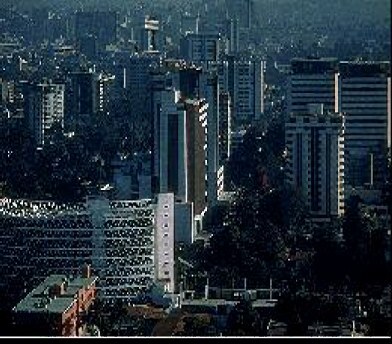 Most of the city's cheap and middle-range hotels are in Zona 1, while posh hotels are clustered in Zona 10. Zona Viva is the place to go to eat expensively and dance the night away. 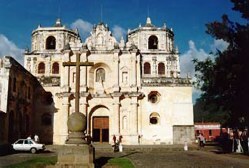 Antigua was the nation's capital from 1543 until 1776 (following the devastating earthquake), when the capital was moved 45km (28mi) to the east to the present site of Guatemala City. 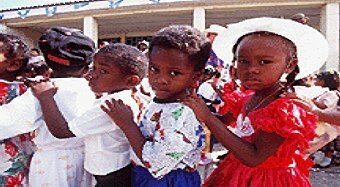 Antigua is among the oldest and most beautiful cities in the Americas. Set amid three magnificent volcanoes - Agua, Fuego and Acatenango - its superb yet sturdy colonial buildings have weathered 16 earthquakes and numerous floods and fires. Antigua is especially beautiful during Semana Santa, when the streets are carpeted with elaborate decorations of colored sawdust and flower petals. The city's churches have lost much of their Baroque splendor, the post-earthquake repair and restoration leaving them denuded of embellishment and elegance. However, many remain impressive, in particular La Merced, the Iglesia de San Francisco and the Las Capuchinas (now a museum). Casa K'ojom is a fascinating museum of Mayan music and ceremonies and related artifacts. On Sundays, visitors and locals alike gather to assess the goods for sale at the bustling market held in Parque Central. At 2030m (6658ft), the magical and misty highlands town of Chichi is surrounded by valleys and overshadowed by looming mountains. Though isolated, it's always been an important market town. The Sunday market is the one to catch, as the cofradías (religious brotherhoods) often hold processions on that day. The locals have combined traditional Mayan religious rites with Catholicism; the best places to witness these old rites are around the church of Santo Tomás and the shrine of Pascual Abaj, which honors the Mayan earth god. Incense, food and drink are offered to ancestors and to ensure the continued fertility of the earth. The town's Museo Regional contains ancient clay pots and figurines, flint and obsidian spearheads, maize grindstones and an impressive jade collection. The commercial center of southwestern Guatemala, Quetzaltenango, more commonly called Xela ('SHAY-lah'), is an excellent base for excursions to the many nearby villages, noted for their hot springs and handicrafts. The city prospered during the 19th century as a coffee-brokering and storage center until an earthquake and volcanic eruption ended the boom. In recent years, Xela has become well-known for its Spanish-language schools. The town's major sights are the central square and the buildings which surround it, a couple of basic though useful markets and the ubiquitous Parque Minerva - many such monuments were built during the presidency of Manuel Estrada Cabrera (1898-1920), to honor the classical goddess of education in the hope of inspiring Guatemalan youth to new heights of learning. The beautiful volcanic countryside surrounding Xela features natural steam baths at Los Vahos and Fuentes Georginas. Also in the vicinity is the picture-postcard village of Zunil, the garment district of Guatemala, San Francisco El Alto and the center for wooly woolens, the village of Momostenango. 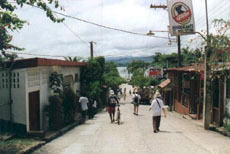 The capital of the jungle-covered northeastern department of El Petén, Flores is built on an island on Lago de Petén Itzá, and is connected by a 500m (1640ft) causeway to the service town of Santa Elena on the lakeshore. Flores is a dignified capital, with its church and government building arranged around the main plaza, which crests the hill in the center of the island. The city was founded by the Itzáes, and at the time of conquest was perhaps the last still-functioning Mayan ceremonial center in the country. 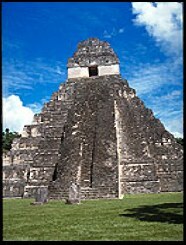 The pyramids, temples and idols were destroyed by the God-fearing Spanish solidiers, and the dispersal of the Mayan citizens into the jungle gave rise to the myth of a 'lost' Mayan city. Modern sights include boat rides stopping at various lagoon settlements and a visit to the limestone caves of Actun-Can. Don't berred by this town's nickname of Gringotenango ('place of the foreigners'), nor by the town's lack of colonial architecture or colorful market. The attraction here is the absolutely gorgeous caldera lake (a water-filled collapsed volcanic cone). Since the hippie-dippie days of the 1960s, laid-back travelers have flocked here to swim in Lago de Atitlán and generally chill out. Volcanoes surround the lake, and the town is the starting point for excursions to the smaller, more traditional indigenous villages on the western and southern shores of the lake. 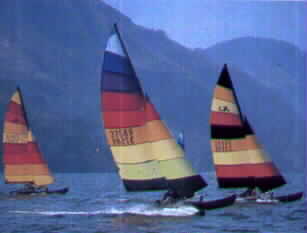 The most popular day-trip destination is Santiago Atitlán, with its colorfully dressed locals and a unique, cigar-smoking resident deity called Maximón. 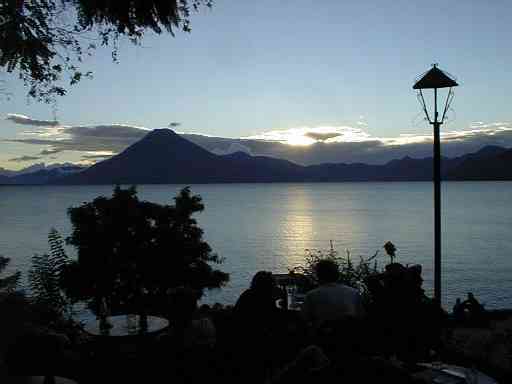 Palopá, while lakeside San Pedro La Laguna is perhaps more attractive because it is less visited. Situated on Guatemala's Pacific Slope, this is an important site for anyone interested in Mayan art and culture. The sugar cane fields are dotted with great stone heads and scenes carved in relief. The artifacts are the remnants of the Pipils, a non-Mayan Indian culture linked to that of the Nahuatl-speaking peoples of central Mexico. The mystery is how these people got here and why these ritual objects? 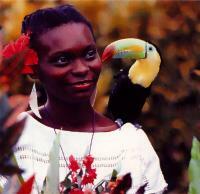 There are three main archaeological sites in the surrounding sugar cane fincas (ranches or plantations). 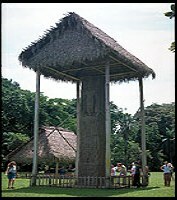 Finca Bilbao consists of several ceremonial sites containing stone sculptures, many of which are hidden among the cane. 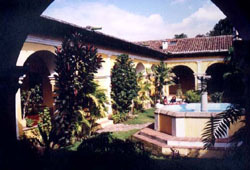 Hilltop Finca El Baúl has the additional fascination of being a still-active place of worship, while Finca Las Ilusiones contains hundreds of objects which have been collected from the fields over the centuries. The monumental Mayan ceremonial center at Tikal lies northwest of Flores in the department of El Petén. Its jungle location makes it a unique site. Towering pyramids rise above the jungle's green canopy, while down below howler monkeys swing nosily through the branches of ancient trees, colorful parrots squawk and dart, and tree frogs fill in the auditory gaps. The steep-sided temples rise to heights of over 44m (144ft), and although the undergrowth around them has been cleared, the dense rainforest canopy is not far away, making passage within the enigmatic site an unforgettable experience. 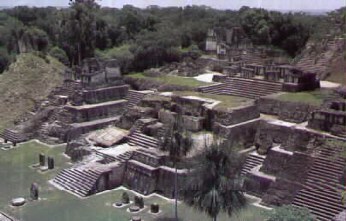 The many ruins include plazas, an acropolis, pyramids, temples and a museum. Intermarriage with shipwrecked sailors of other races and the indigenous Maya has created a distinctive culture and language incorporating African, Mayan and European elements. Tiny Lívingston is an interesting anomaly, the way of life definitely more Belizean than Guatemalan, with coconut groves, gaily painted wooden buildings and a fishing economy. The town is the starting point for boat rides on the Río Quehueche and Río Cocolí, which take you through tropical jungle scenery for a swim or a picnic, or out to the Cayos Sapodillas for snorkeling and fishing. 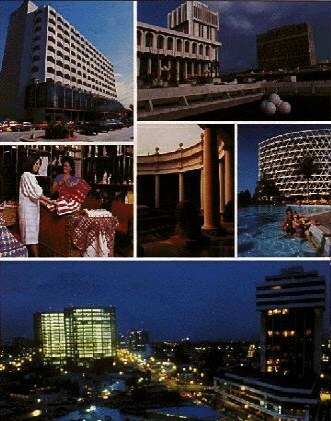 Visas: Visa regulations changed in 1996 and citizens of most countries no longer need either a visa or a tourist card. Depending on the country you come from, stays are limited to 30 or 90 days. Citizens of some countries still need either a visa or a tourist card, so check with the closest Guatemalan embassy for up-to-date information. 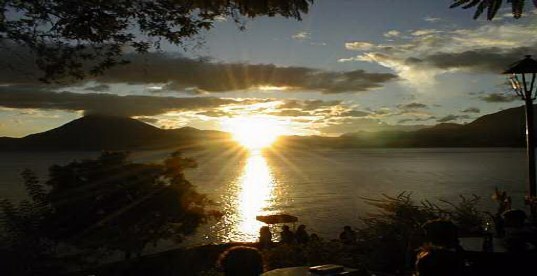 The dry season, from November through May, is the most pleasant time, climatically, to be in Guatemala. Along with summer holidays, however, this is also the busiest time. Although the rain may restrict some activities during the wet season, it's still worthwhile planning your trip for this time of year, particularly as you'll be more likely to pick up accommodation bargains. If you're planning to be in the area around Easter, try to be in Guatemala for Semana Santa (Holy Week), the highlight of the country's festival calendar. (Holy Week - the week before Easter) is Guatemala's biggest festival, featuring processions and celebrations throughout the country - Antigua's fiesta is said to be the best. Rabin Ajau, held throughout the Verapaces, most impressively in Cobán, is a traditional Q'eqchi' (Kekchi) Maya festival which runs from July 21-26. Independence Day is celebrated nationwide in September. November features All Saints' Day, and Chichicastenango commemorates Santo Tomás from December 13-21. Prices in Guatemala are among the region's best. You can pick up a one-plate meal for less than US$2, or stuff yourself on almost-free fruit and snacks from elaborate markets. Camping is incredibly cheap, and bus trips cost around US$1 an hour. Even if you splash out on a few comforts, you should be able to get a room with a bathroom, plus two or three meals, for US$25 a day. It's a waste of time trying to change anything other than US dollars - even currencies from neighboring countries will probably prove impossible to exchange. If you do have a different currency, try the casas de cambio at Flores or Guatemala City airports. ATMS are springing up around Guatemala City, and most banks will give you an advance on your Visa card over the counter. It's worth noting that Mastercard is almost completely useless in most of Guatemala. Restaurants expect a tip of around 10%, on top of the 10% IVA (value-added tax). On top of this, hotels charge 10% tourist tax. Most hotels and shops have fixed prices, but you'll be expected to bargain at markets - remember to keep your sense of humor and perspective. La amplia variedad de características geográficas, climáticas y culturales de Guatemala hacen que este país sea ideal para la práctica de infinidad de actividades y deportes como vuelo libre, acampar, andinismo y alpinismo, fotografía, observación de aves, peregrinaje, canotaje y ciclomontañismo. 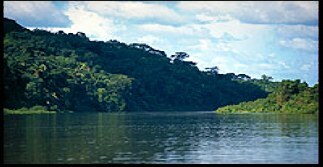 Un destino "naturaleza y cultura" - arqueología precolombina, arte colonial español, artesanías, Caribe, mercados coloridos, fiestas patronales, Garífunas, lagos, manglares, Mundo maya, Océano Pacífico, paisajes de montaña, procesiones, pueblos indígenas, selva tropical, semana santa, trajes y textiles ancestrales, sitios mayas, tradiciones, volcanes, ... y mucho más.